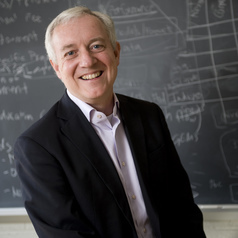 Dr. Titley is a nationally known expert in the field of climate, the Arctic, and National Security. He served as a naval officer for 32 years and rose to the rank of Rear Admiral. Dr. Titley’s career included duties as Commander, Naval Meteorology and Oceanography Command, Oceanographer and Navigator of the Navy, and Deputy Assistant Chief of Naval Operations for Information Dominance. While serving in the Pentagon, Dr. Titley initiated and led the US Navy’s Task Force on Climate Change. After retiring from the Navy, Dr. Titley served as the Deputy Undersecretary of Commerce for Operations, the Chief Operating Officer position at the National Oceanic and Atmospheric Administration.